GBR 1342 is one of three investigational immuno-oncology agents based on Glenmark’s proprietary BEAT® platform. Glenmark Pharmaceuticals on Thursday announced the decision to launch a phase-1 trial in solid tumors for its CD38xCD3 bispecific antibody GBR 1342. The decision is driven by recent findings derived from a non-interventional human study utilizing a clinically validated CANscript™ platform, the pharma company said in a filing to the exchanges on Thursday. GBR 1342 is based on Glenmark’s proprietary BEAT® platform and simultaneously targets CD38 and the CD3 T cell co-receptor. CD38 is an antigen known to be implicated in hematological malignancies as well as some solid tumors.1 The company intends to file an Investigational New Drug (IND) application for GBR 1342 in solid tumors and initiate a clinical trial in 2019. “Our work with innovative immunotherapeutics such as T cell re-directing bispecific antibodies necessitates detailed analyses to fully understand and assess the potential opportunities presented by the candidates in our pipeline,” said Kurt Stoeckli, President and Chief Scientific Officer at Glenmark Pharmaceuticals. “We are pleased to report that predictive analytics have generated new insights on response rates which inform further clinical development of GBR 1342 in a variety of solid tumor types, both as monotherapy and in combination therapy,” Stoeckli said. The decision to expand clinical development of GBR 1342 was based on a recently completed ex vivo translational study in multiple solid tumors utilizing the clinically validated CANscript platform, where treatment with GBR 1342 revealed predictive responses in various tumor types. CANscript is a completely human, autologous human tumor platform that integrates an algorithm-driven strategy to predict clinical responses. Glenmark plans to submit these data, along with findings on the mechanism of action, for presentation at upcoming scientific meetings and publication in a peer-reviewed journal. An ongoing first-in-human, open-label, phase-1 trial of GBR 1342 in multiple myeloma is assessing the safety and tolerability of increasing doses of GBR 1342, and will also evaluate biomarkers, immunogenicity, and additional measures of disease activity. Glenmark's pipeline currently includes three immuno-oncology candidates being studied in a wide range of tumor types. These include three bispecific monoclonal antibodies (bsAbs). GBR 1302, a HER2xCD3 bsAb, targets HER2-expressing tumors including those not responsive to the standard of care; GBR 1342, a CD38XCD3 bsAb targeting CD38 positive tumors, including hematologic malignancies and solid tumors; and GBR 1372, an EGFRxCD3 bsAb targeting EGFR-positive tumors, including those resistant to standard of care. BEAT® (Bispecific Engagement by Antibodies based on the T cell receptor) is Glenmark's proprietary technology for the production of bsAbs. With BEAT technology, Glenmark's scientists have been able to overcome past production obstacles encountered with bsAbs, and can efficiently manufacture these molecules at a clinical and commercial scale. Pre-clinically, BEAT bsAbs demonstrate the potential for more potent activity compared to existing therapeutic antibodies. Additionally, structural similarity to naturally-occurring antibodies may result in a normalized IgG half-life and less immunogenicity. GBR 1302, GBR 1342 and GBR 1372 are based on BEAT® technology. 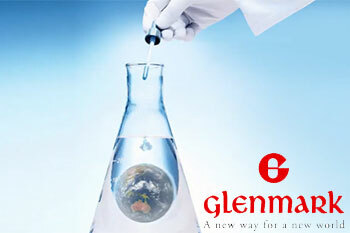 Glenmark Pharmaceuticals Ltd ended at Rs665, up Rs8.2, or 1.25%, from its previous close of Rs656.80 on the BSE. The stock traded above its 50-DMA.